Welcome to Charlotte Plantscapes Inc. Creating magnificent, breathtaking interiorscape masterpieces—this is what we do best at Charlotte Plantscapes Inc. We are the trusted interiorscape service provider in Charlotte, NC, and we are more than capable of transforming your commercial and residential properties any time of the year. Our sales team can also help you during the Christmas season as well as other major holidays. Partner with us today! 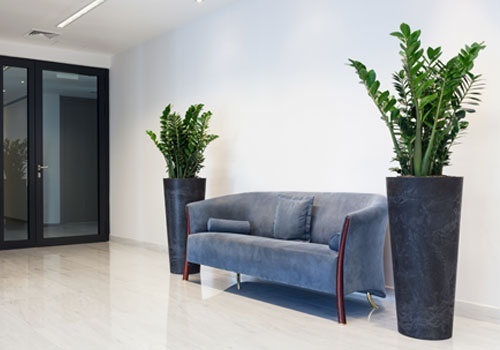 Why You Should Choose Charlotte Plantscapes Inc.
Our custom tropical plant designs and selections are pleasing and varied for added beauty and comfort in your work or home environment. Our guaranteed horticulture service programs are available both weekly and bi-weekly depending on the clients’ desires and budget. Our “no-worry” plant maintenance allows you to enjoy the beauty of indoor plants. We work to ensure your plants are thriving, healthy, and clean. Our plant service technicians are uniformed and perform their work in a timely, professional manner. We deal with any plant issues or concerns as soon as possible to our customer’s complete satisfaction. All plants are rotated on a regular basis and planters are cleaned and positioned properly. Our guaranteed plant replacements are made in a timely manner. Since 1983, Charlotte Plantscapes Inc. has been providing unique interiorscape designs customized to meet our clients’ individual style and desires as well as budget. Our guaranteed plant service program protects your original investment while you enjoy the health and beauty of indoor plants that enhance your work or home environment. Sometimes, all it takes to beautify your properties are the right kind of colorful plants and flowers. Here at Charlotte Plantscapes Inc., we can light up your business and home with our first-rate interiorscape products. To learn more about our business or how you can hire our team as your plantscape service provider, contact us. We also offer seasonal promotions so make sure to ask about that!